Mold wants to invade your home. It’s not satisfied with living in your basement or crawlspace, or inside your walls. It wants to live in your closets, too. It wants to live in your family room. It even wants to sit down to dinner with the family. Unfortunately mold is not very polite. Invisible much of the time, it will sneak into every room of your house, even when you’re sleeping. It causes discoloration on whatever surfaces it chooses to grow upon. It smells bad. Worse, its tiny spores can enter nasal passages and lungs. For sensitive family members, reactions include wheezing, stuffy or runny noses, itchy and watery eyes, rashes or hives, coughing, and asthmatic attacks. Symptoms may persist for weeks or months. 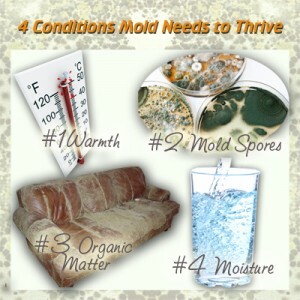 Keeping mold out is not so easy. Its tiny seed-like mold spores are everywhere. High concentrations can typically be found in the dampest locations of your home. The basement or crawlspace is probably its favorite haunt. High humidity and water leaks provide the moisture. In addition, there are plenty of air leaks that deliver new supplies of moisture-laden air on a regular basis. Cold pipes and ducts promote condensation. Organic surfaces (like wood framing) and dirt provide plenty of nutrients. While mold spores don’t have legs, they do move — typically riding on household air currents. A common way for air to move from basement to living space, for example, is natural convection (also called the “stack effect).” As warm air rises and is expelled through attic vents, upstairs windows and up staircases, a slight negative pressure builds on the lower level. In effect, your first floor becomes like a huge vacuum cleaner, sucking in air. While most of the air comes from the outdoors through gaps around doors and windows, up to 20 percent of it comes from the basement or crawlspace. It enters under the basement door and through cracks and holes in the floor. High concentrations of mold spores often tag along. Negative pressure and air movement may be caused by other forces as well. For example, as wind blows, it creates a vacuum on the leeward side of your house. Interior air gets sucked out. Negative pressure builds inside, and more air is sucked up from the basement or crawlspace. Bath and kitchen vents, furnace flues, and unvented dryers all expel air, too, and add to the negative pressure inside your home. 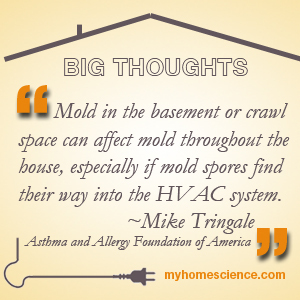 A good way to make mold feel uncomfortable is to make some changes in the basement or crawlspace. Here are some things you can do right away. Fix plumbing leaks immediately, even the minor ones. Run kitchen and bathroom vents when needed. Seal air leaks, especially around windows and doors. Prevent foundation water leaks with downspout extensions and grading that slopes away from the foundation. Keep walls, floors, and ceilings clean. Wiping surfaces with a solution of vinegar is safe and effective. Run a dehumidifier and keep relative humidity below 65 percent. Choose a model that is sized for your space, includes a high performance air filter, and that will automatically drain to a sump pit or to a utility sink. Operate a fan if you don’t own a dehumidifier. It will distribute heat evenly around the space and lower the chance of condensation forming on cool surfaces. Fit your sump pit with a lid. Longer-term improvements include installing a basement waterproofing system if your basement floods on a regular basis. Interior perimeter drains with a sump pump and back-up sump pump are the ideal way to go. If your house is built upon a crawlspace, install a liner over its floors and walls. Choose a tough durable liner when encapsulating a crawlspace. Install rigid foam board insulation over all walls. By keeping the basement or crawlspace warmer, relative humidity is reduced and the chance for condensation is less, too. Good stuff, Joseph. 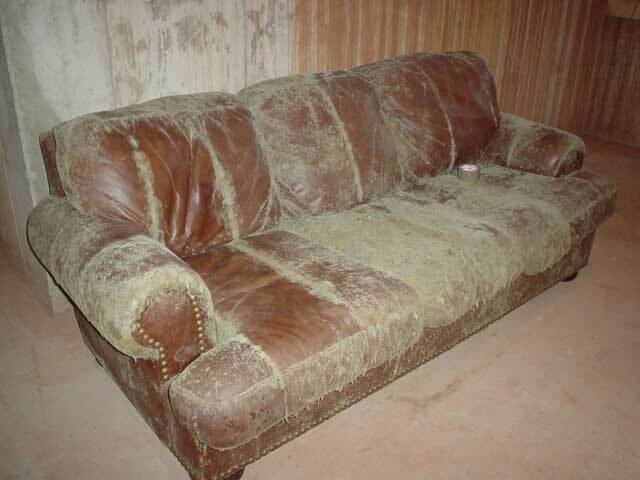 Mold is the Hidden Danger of basements. Keeping the molds away from basement is a tough job to do. It is a place that we rarely have usual access and it is left unnoticed and dark. No proper ventilation also gives the basement a damp feel. Having a regular checkup for molds will be a great idea. Try to check for spots which are wet, if it is a issue, fix it soon. Use a dehumidifier and keep a check on humidity. As mentioned, keep the humidity at 65 to 50 during the summer season and 30 during winter. We had a bad experience of our own and we had to rip off most of our drywall installation. It was a total mess and we had to call in basement waterproofing and mold control service, Doctor Rooter, Toronto, to fix the issue. They told us to always have a visit to basement to check for leaks and molds or any other issues. You’re right: Mold is difficult to prevent. The point I try to get across is that mold prevention can’t just be a single measure; you have to do several things to discourage a mold infestation. Run a dehumidifier in the basement to keep humidity levels low. Make sure you have an effective basement waterproofing system. And don’t finish a basement with organic materials (like paper-faced drywall, wood studs and plywood subflooring) that provide mold food (and habitat) when they get damp. All these measures combined will create a mold-hostile environment that forces mold to go elsewhere.